BS-K-type Flotation Machine is deep and pneumatic type flotation machine. 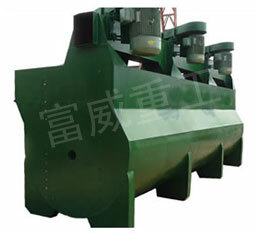 Impeller stirring only pulp and dispersion of air circulation and thus less wearing parts wear and tear. Its power ratio is lower than other types of floaters. Without self-absorption capacity, operating intermediate products need to return to the bubble pump.